This summer, we’d like to return and talk about some of our most useful, engaging, or popular posts. Today’s post, written by Amy in 2012, reminds us that writing isn’t just done for assessment–it’s done to get kids to love reading and writing. Please return to this topic and talk with us in the comments–how do you help kids write to write, and not write for a grade? Students should write more than teachers can ever grade. I heard this first from Kelly Gallagher, author of the book Readicide, a book, among others, that helped me frame my curriculum around Workshop. If I remember correctly, he said that his students write four times more than he grades. Really? I pondered this for a long while, and I still struggle, but I think I have some of it figured out. I thought for a long time that my students would not write unless I graded what they wrote. Every assignment: “Is this for a grade?” Every answer: “Yes, everything is for a grade.” The refrain got old. Then I tried something new: I began writing with my students on the first day of school, and I had some kind of writing activity every single day. 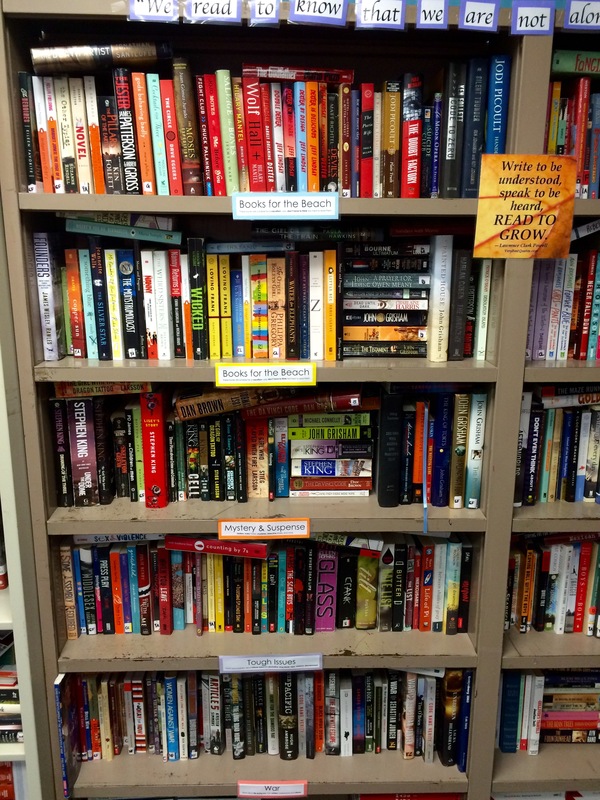 I don’t remember where I read it, but when I was researching the work of the reading writing workshop gurus a couple of years ago, I know I read: if you struggle with time and have to choose between reading or writing, choose writing. 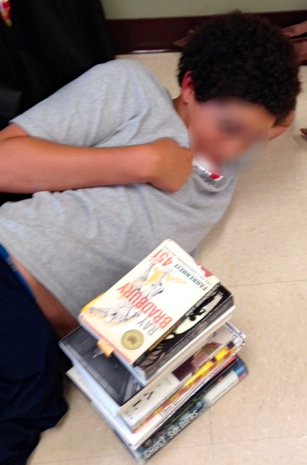 It’s the complete opposite of what I thought: My students are struggling readers. How do I give up reading when I know they need it? I thought about it more and realized: If I teach writing well, students will be reading. And they will be reading a lot. So let me explain how this works for me. Remember, I teach AP English Language and Composition (that’s the top 11th graders) and English I (that’s on-level freshmen)–two extremes. There are many ways to get students to write every day. Of course, some ways will get them to take their writing more seriously than others. I find that when I give them an audience, students will put a lot more effort into what comes out their pens. Audience matters! Topic Journals. Following the advice of Penny Kittle, author of Write Beside Them, I created “topic journals” that students write in once a week the first semester. I bought composition notebooks and printed labels, using various fonts, of the topics: love, conflict, man vs. man, man vs. self, man vs. nature, war, death, gender, hope, redemption, family, romance, hate, promise, temptation, evil, compromise, self-reliance, education, friendship, guilt, doubt, expectation, admiration, ambition, courage, power, patience, fate, temperance, desire, etc. I created 36 notebooks; one for each student in my largest class. The first task was to turn to the first page in the journal and define the topic. Many looked up the terms in the dictionary or online. They wrote a quickwrite explaining what the topic meant. Then on the next page they wrote about anything they liked as long as their writing fit the topic. I had them sign their posts with their initials and the class period. I told them that they could choose their form (a letter, a narrative, an advice column) as long as they remembered that their audience was 9th graders, and whatever they wrote had to be school appropriate. “If you write about bombs or offing yourself or anyone else, you’re off to see the counselor or the police.” These are good kids, most of them in National Honor Society. They took my charge to help my younger students seriously. This exercise often worked as a lead into our critical reading or class discussion that day, and sometimes students chose a piece they’d started in a topic journal to continue exploring for a process piece. You can imagine how I introduced the journals to my freshmen. I began by saying, “You know I teach AP English, right? That’s the college-level English class. Well, those students would like to offer you advice about high school, life, and whatever else you might have to deal with the next few years. They are going to write to you in these topic journals. Your job when you see these notebooks on the tables is to choose the one that “calls” to you. First, you will read the messages the older students wrote for you, and then you will respond. Remember to use your best writing.” I then set the timer and had students read and write for 10-15 minutes, depending on the lesson I planned that day. 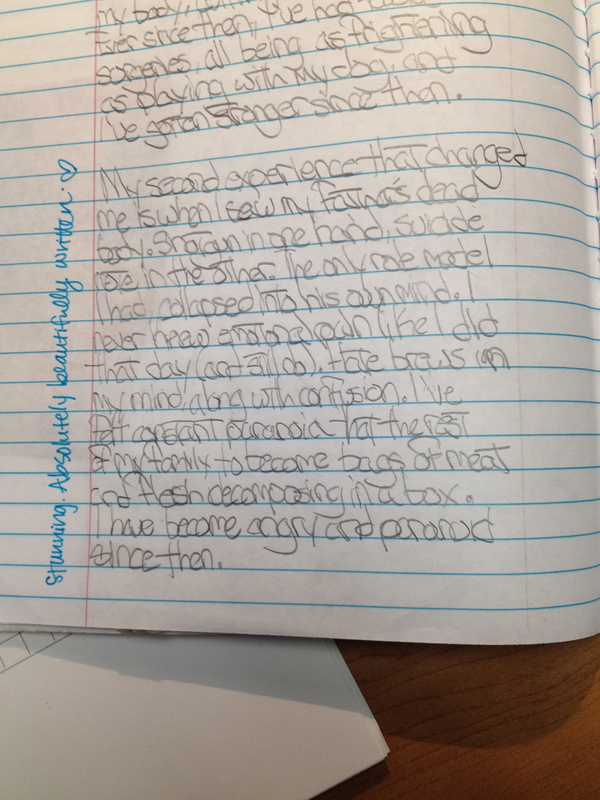 Sometimes I had students share out what they wrote; most often we tucked the notebooks away for another week. While students wrote in topic journals, I read what students had previously written in the notebooks kids did not select. I’d write a quick line or two in response to something in that notebook. I always used a bright orange or green pen, so students could tell I’d had my eyes in that journal. They knew I was reading them, but they never knew when or what entry. This helped hold them accountable for not only the content of what they were writing but also the mechanics of how they were writing it. Assessment? Formative. Students have to think quickly and write about a topic on a timed test for the AP exam (11th grade) and STAAR (9th grade). At first I only set up a class blog, and I had students write in response to posts I put on the front page and in response to an article I put on an article of the week page (another Gallagher idea). It didn’t take me long to realize that students would write more and take more ownership of their craft if they created their own blogs. The first year I had students set up blogs I taught gifted and talented sophomores, and I was nervous. Nervous that something would happen: they’d post inappropriate things, they’d do something to get themselves and me in trouble, they’d be accosted by trolls out to hurt children through internet contact. I chose Edublogs.org as the platform because I could be an administrator on the student blogs, and I had my kids use pseudonyms. This was overkill. Yes, I did have to change two things that year: one student called his blog Mrs. Rasmussen. I told him my husband didn’t appreciate that much. Another kid used a picture of a bomb as his avatar. Not funny. All-in-all my students did great, and they wrote a lot more (and better) than they ever did for me on paper. I was a stickler for errors and created this cruel scoring guide that said something like: A=only one minor error, B=two minor error, C=three minor errors, F=four or more errors. Students that had never gotten a C in their lives were freaking out over F’s. “Sorry, kiddo, that’s a comma splice. That’s a run-on.” I had more opportunities to teach grammar mini-lessons than I ever had in my career. But see, these kids cared about their grades. My 9th graders now–not so much. They care about a lot of things, but if I punish them for comma errors or the like, they shut down and stop writing. I learned to be much more careful. Now, I work on building relationships so they trust me to teach them how to fix the errors themselves. It takes a lot more time, but in the end, student writing improves, and students feel more confident in their abilities. I am still working on getting my 9th graders to be effective writers. So far, I have not accomplished that too well, as is evidence of their EOC scores this year. This past year my AP English students posted on their blogs once a week. I told them that I would read as many of their posts as I could, but I would only grade about every three. I wouldn’t tell them which ones I’d be grading. I let students choose their topics, but since I had to teach them specific skills to master for the AP exam, I instilled parameters. They had to choose a news article that they found interesting, and then they had to formulate an argument that stemmed from that article. The deadline was 10 pm on Monday–every week. This assignment accomplished two of my objectives: students will become familiar with the world around them, and students will create pieces that incorporate the skills that we learn in class. When I turned to social media to promote student blogs, I got even more ownership from my students. Assessment? Formative or Summative. Students apply the skills they learned in class regarding grammar, structure, style, devices, etc. Scored using the AP Writing Rubric for the persuasive open-ended question. One of these days I will write a post about the many ways I used Twitter in class this year. 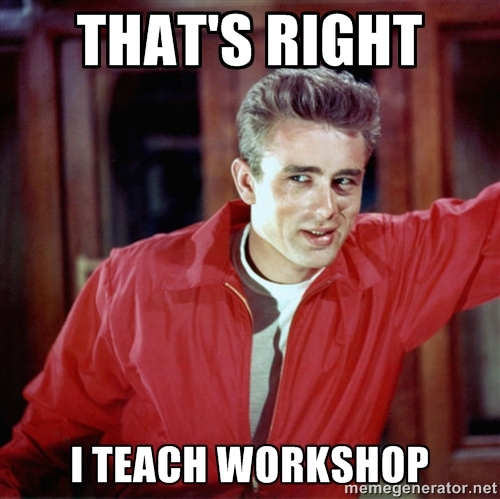 For now, let me just tell you: Twitter was the BEST thing I added to my arsenal of student engagement tools. Ever. When I began asking students to tweet their blog url’s after they wrote on Mondays, I started leaving quick and easy feedback via Twitter. It was so easy! Kids would tweet their posts; I’d read them; re-tweet with a pithy comment. Within minutes of the first couple of tweet exchanges, students were posting and tweeting more. They were getting feedback from me, and they were giving feedback to one another. 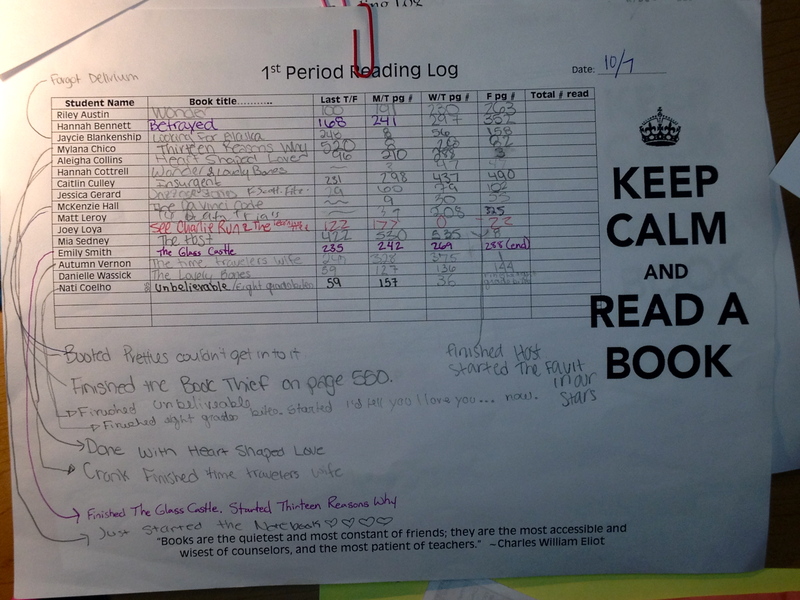 They began building a readership, and that’s what matters if students blog. Just because they are posting to the world wide web does not mean anyone is reading what they write. But, a readership, especially one that will leave comments, that’s a whole new story. Assessment? Formative. Students share their writing and make comments about their peers’ writing. Critical thinking is involved because students only have 140 characters to express their views. In a perfect writing class, I am sure students get to choose what they write about every time. This does not work in an AP English class where I am trying to prepare students for that difficult exam. Once a week my students complete a timed writing where they respond to an AP prompt. The guidelines for AP clearly state that the essays are scored as drafts; minor errors are expected. My students must practice on-demand writing. There is no time for conferencing or for taking these essays through the writing process. Unless–we revisit. And sometimes we do. Students are allowed to re-assess per our district grading policy if they score below an 85. 85 is difficult for many of my students, so lots of them re-assess. To do so, students must come in and conference with me about their timed writing. I am usually able to pick out the trouble spots quite easily, and it’s through these brief conversations that I get the most improvement from student writing. Often, instead of conferencing with me, students will evaluate their essays with one another. I show several student models of higher scoring essays and teach students how to read the AP Writing Rubric. Then, in round robin style, students assess their own essays and at least three of their peers. I remind students not to be “nice” to their friends and give a score that’s undeserved. This will not help anyone master the skills necessary for the AP exam. Rarely do students give themselves or their peers scores higher than I would. My students also write process papers. For AP reading workshop students choose a book from my short list. After reading and discussing the books with their Book Clubs, students have to write an essay that argues some topic from the book. I model how to structure an essay. I model how to write an engaging introduction. I model how to imbed quotes and how to write direct and indirect citations. I model everything I want to see in this type of writing. I allow several weeks in my agenda to take these papers through the writing process, and students do most of the work outside of class (not so with my 9th graders). Day one students generate thesis statements, and we critique, re-write, and re-critique. Day three students bring another draft that we read and evaluate again. Sometimes, depending on where my kids are in terms of producing a good piece, I will take these up and provide editing on the first page. Never more than the first page! Day four students turn in their polished papers. I score them holistically on a rubric that aligns with the AP Writing one, or if it’s my 9th graders, I score them on the appropriate STAAR writing rubric. My freshmen students need a much more hand holding, and we do a lot of writing on lined yellow paper. Most often, especially at the first of the year, they get to choose their own topics. However, I have to give them a lot more structure because on the new Texas state test. 9th graders have to write two essays (about 300 words each): a literary essay, which is an engaging story, and an expository essay, which explains their thinking about a given prompt. Students use the yellow paper to draft during class. I wander the room, answering questions and keeping kids on task. I also try to write an essay every time I ask students to do so. I use these essays as mentor texts in addition to mentor texts I find by professional authors. Usually I begin class with some kind of mini-lesson if students are in the middle of drafting. I might show students a paragraph with a description that uses sensory imagery and instruct them to add some description in their own writing. Or, I might teach introductory clauses and have students revise a sentence to include one or two or three. This way I am able to get authentic instruction that my students need right there in the middle of their writing time. When I score these student papers, I specifically look for the skills I’ve explicitly taught. If I do it right, I will have read my students papers one or two times during their writing process, prior to them ever turning in their final draft. Notice I said “if I do it right.” I rarely do it right. I am still learning to budget my time and get to every kid. I am still learning to get every kid to write. I am writing English I curriculum this summer, which I will use in the fall. I hope to get some of my challenges with my struggling students worked out as I focus more purposefully on the standards. I realized this year that while I am teaching writing as a process all the time, I am not necessarily targeting the standards that fit into the process. I am thinking about this a lot lately. This is still my burning question: how can I get kids who hate to read and write to participate in writing workshop so their writing improves and their voices are heard? I am turning to the gurus as I research and think this summer. Jeff Anderson’s book 10 Things Every Writer Should Know has been an excellent start. This summer, we’d like to return and talk about some of our most useful, engaging, or popular posts. 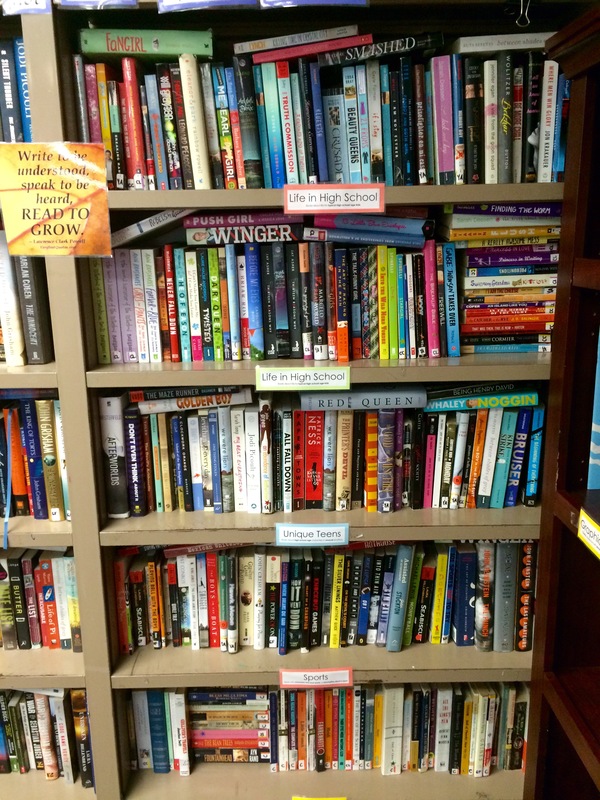 Today’s post, written by Erika in 2014, reminds us of her process for finding mentor texts–they’re everywhere! 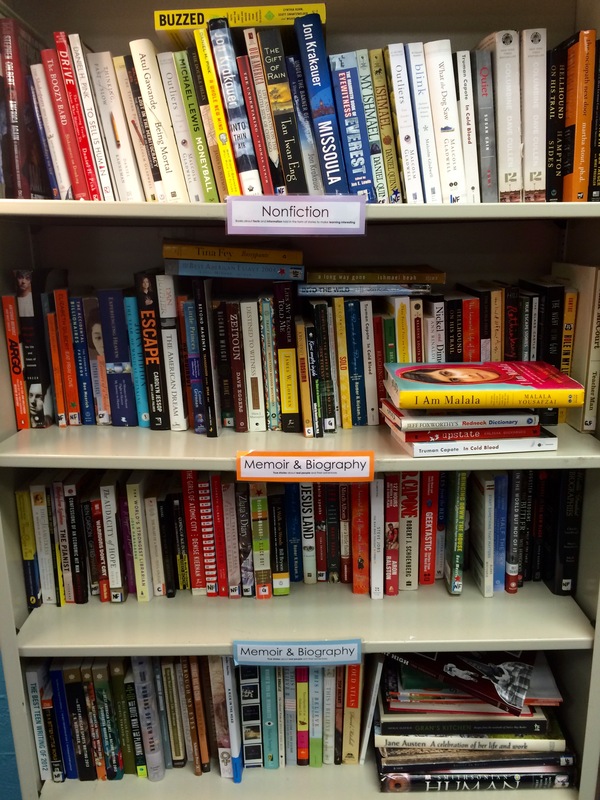 Please return to this topic and talk with us in the comments–how do you find, organize, or utilize mentor texts? This time last year I was amidst a mad dash – a mad dash in seeking out, organizing, asking about, researching, contemplating, and gathering the ‘best of the best’ of mentor texts. I had just learned what a mentor text was (text that, well, mentors!) and wanted to make sure I had a plethora to kick off the school year. And, I did. I had gathered so many I wasn’t even sure when, and in what context, I would be using them. But, they were ready and I felt confident that I was too. This year, it’s a bit of a different story. After implementing the Reading Writing Workshop model in my urban oasis for the first time this past school year, I realized there is no longer a need to be dashing about. Mentor texts are everywhere! Literally. They are in the morning’s newspaper. They reside in the autobiographies I always find myself engaging in (and of course, loving). Articles promulgating the Twitter circuit for the purposes of dissecting content and craft. Classics, more modern, and everything in between became focal points of inquiry and investigation. 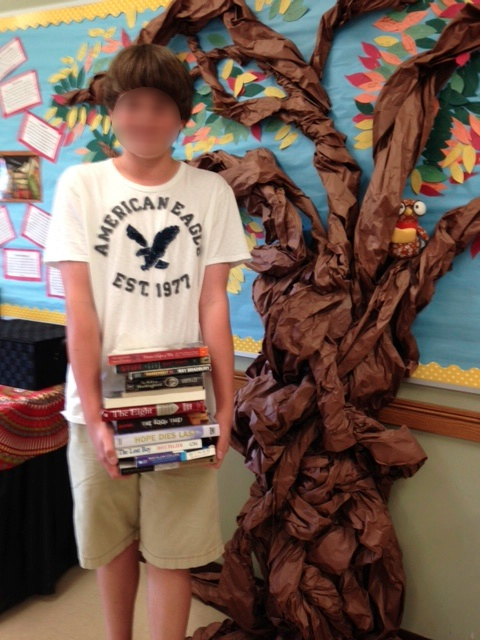 Students’ independent reading books shed light on crafty moves authors strategically choose to utilize. On occasion, an excerpt from professional development texts deserved a public viewing (sometimes with scrutiny, sometimes not). Nothing is off limits. So, it is no wonder that as I have been reading a vast array of literature this summer; I have new mentor texts lined up for this coming school year that I am thrilled to explore with my students. So, grab your Writer’s Notebook and flip to your Next-To-Read list. I hope you not only fall in love with these pieces, just as I have, but they inspire you to think about what you’re reading and how you’d like to share them with the brilliant and inquisitive minds occupying your learning community. Making Meaning with Texts: Selected Essays by Louise Rosenblatt was first introduced to me in this summer’s UNH Literacy Institute via Penny Kittle’s Book Love course. This piece sent a buzz all throughout the campus as we were asked to read it for homework and come prepared to discuss it the next day. Before the night was through, classmates were chronicling their amazement and joy with Twitter posts such as: “Reading Louise Rosenblatt for homework and keep saying “Amen, sistah!” in my head. #unhlit14″. So, you can only imagine how this Reading Theorist evoked an awakening in us all. It was when I came to this paragraph that I realized I had just stumbled upon an incredible mentor text; not only for myself as an educator, but for students as well. What better way to expose students to the questioning and thinking behind our reading and writing than by sharing the source with them? These questions are going to guide us through our reading (and writing) journeys this year. We are going to study these questions, make sense of them, put them into practice; but, we are also going to really delve into why Rosenblatt has chosen these questions to guide us. See, that’s where exploring craft and an author’s intention becomes our focal point. 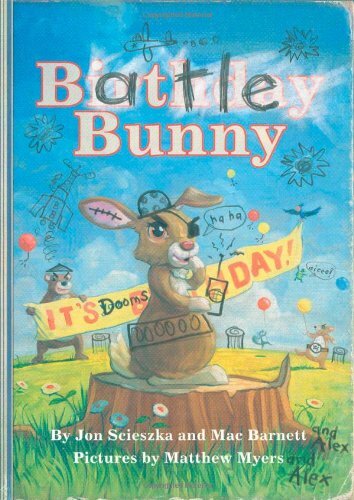 Battle Bunny by Jon Scieszka and Mae Barnett is a clever and witty piece that is sure to get students charged up about editing and revising. How could it not? 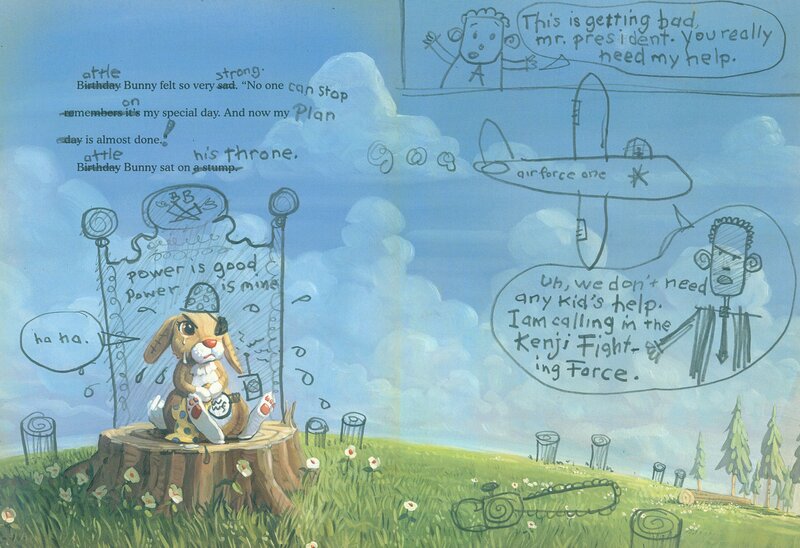 This entire piece chronicles the the narrator’s (yes, the bunny) stylistic and creative writing journey. The entire story is marked up, crossed out, reworded, and illustrated to show the power of the writing process. It’s beautiful. While I educate students ages 16-21, and this piece (I’m sure) was not intended for that audience, I believe this mentor text will be a lighthearted way to quell some of the fears that override their writers’ anxiety. We know, many students are uncomfortable and afraid to revise, rework, or allow their time-intensive writing pieces to become ‘messy’. Yet, that’s what produces the most profound writing. I know this may be a risky move in my classroom. Yet, I’m going to take a chance. I anticipate shared laughter as we navigate this piece together. I also plan to explore the bunny’s intentions and make it relevant for our work as writers: Why did he feel the need to rewrite the story? Do the illustrations add to the message he is portraying? Do any of his original thoughts (verse his revisions) feel more powerful to you? What intentional moves did he make in re-creating this story? And on and on. 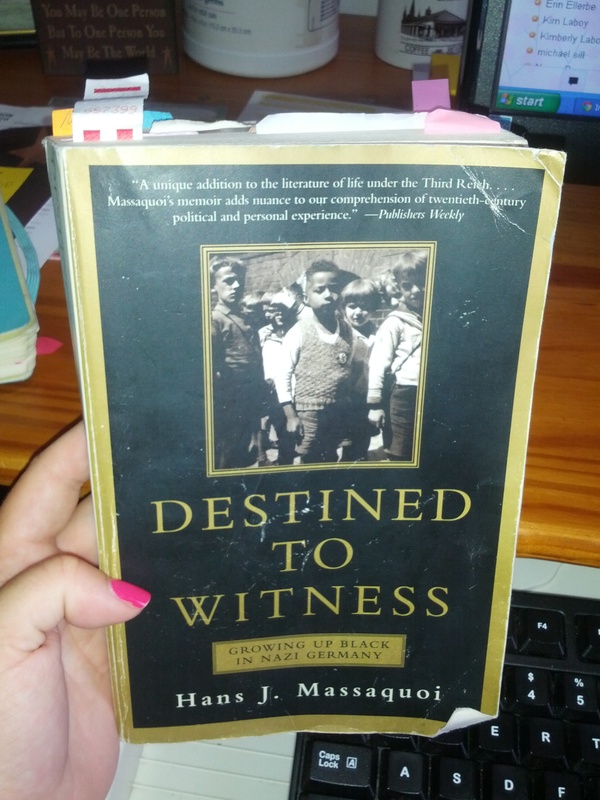 Destined to Witness: Growing up Black in Nazi Germany by Hans J. Massaquoi is a piece I have not been without this entire summer. And, although I’m finished reading it, I find myself flipping through the pictures over and over; it’s that profound. Massaquoi is a mentor of life, overcoming adversity, obtaining the (perceived) impossible, and what it truly means to be human. Journalist by trade, Massaquoi takes such grace in his every word, sentence, and strategic ‘move’ that’s crafted. This book encapsulates 443 pages of sheer brilliance and I want students to be exposed to this kind of writing because they too, have the ability to craft such beauty. 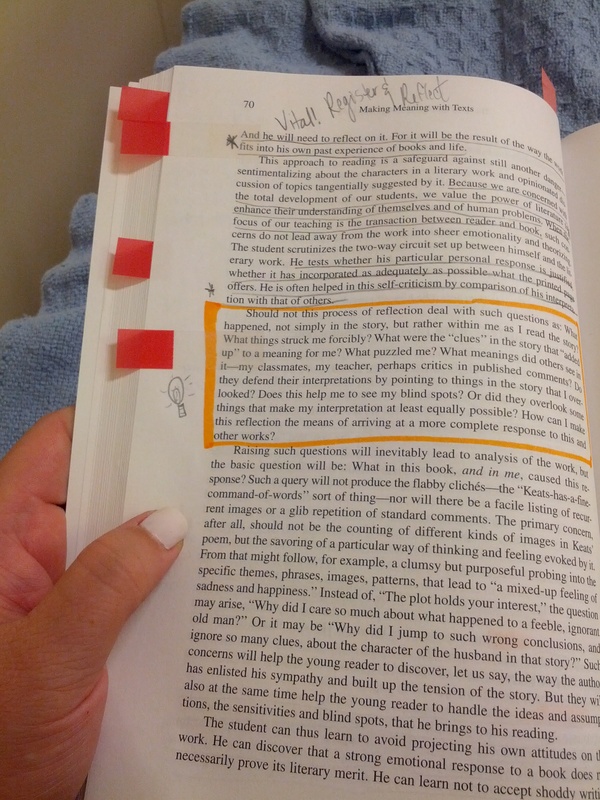 I also want them to catch a glimpse into my journey while reading this piece (note post-its) because I want to share what I found fascinating. 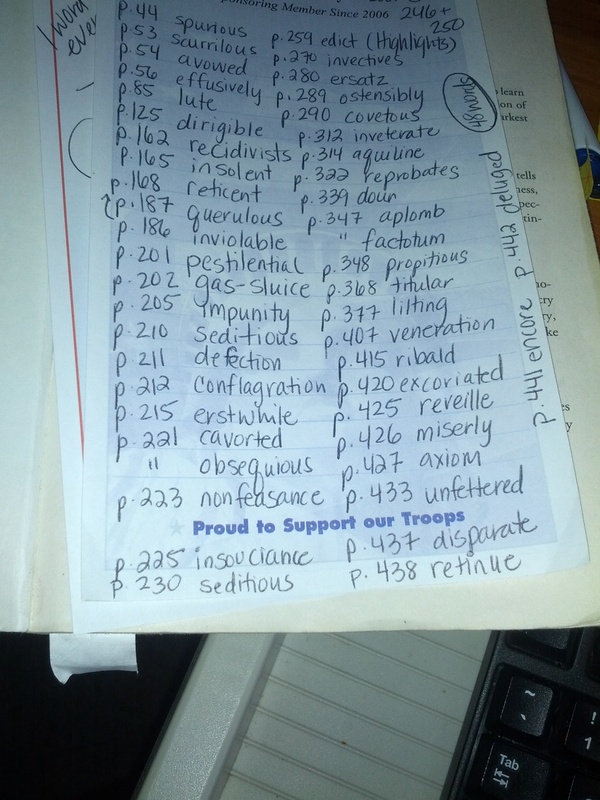 I want to explore some of the word choices (see my unknown word list) and talk strategy. 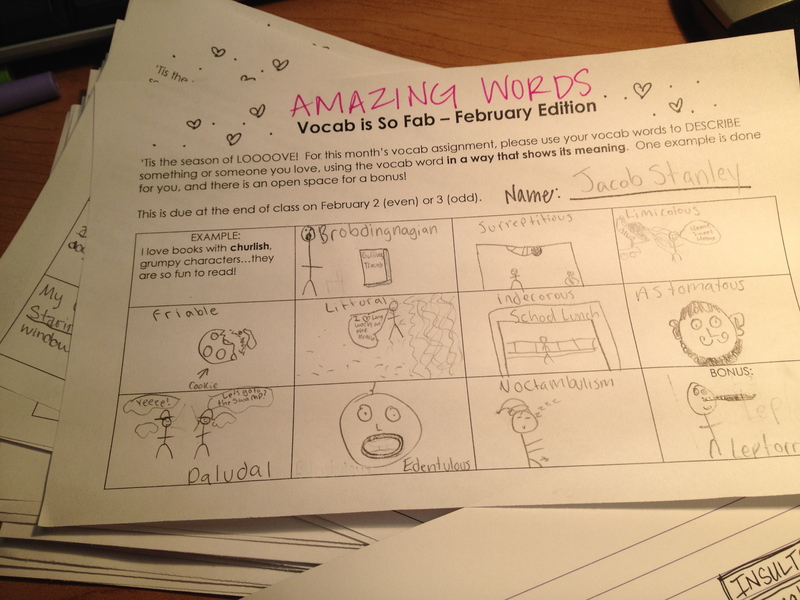 I want to use some of these words within my own vernacular and challenge students to do the same. Most importantly, I want to show them that reading is a process; not one to shy away from. And yes, sometimes it takes work, but overtime it becomes natural…and wildly fulfilling. I can’t help but think, above and beyond the work I plan to do with this text, that the historical context won’t propel students in their study of history as well. World War II and the Holocaust have rarely been depicted from the racial standpoint in which Massaquoi portrays. This just may be a piece that peaks enough intrigue among students that they too will add it to their Next-To-Read list. That’s my goal. 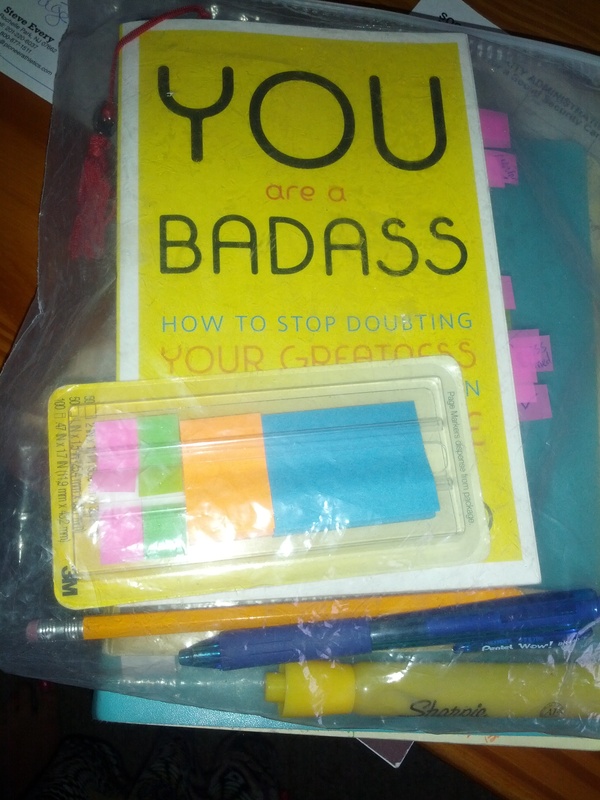 You are a Baddass: How to Stop Doubting Your Greatness and Start Living an Awesome Life by Jen Sincero has found its way into my Survival Book Kit and I love it! I’m just past the first thirty pages, yet I have not stopped laughing. Yes, out loud. Sincero most definitely has a way with words. She is edgy and a straight shooter for sure. Yet, she is able to talk about really serious life-changing ideas in a way that feels ‘light’. Not your typical self-improvement piece. I want students to see how infusing humor among the serious can be oh-so-powerful. Utilizing analogies to talk about the conscious and subconscious mind provides readers visuals…imagery. A way to process this vitally important information that can shape their lives. In only the most positive of ways. I plan to choose the excerpts from this text skillfully. 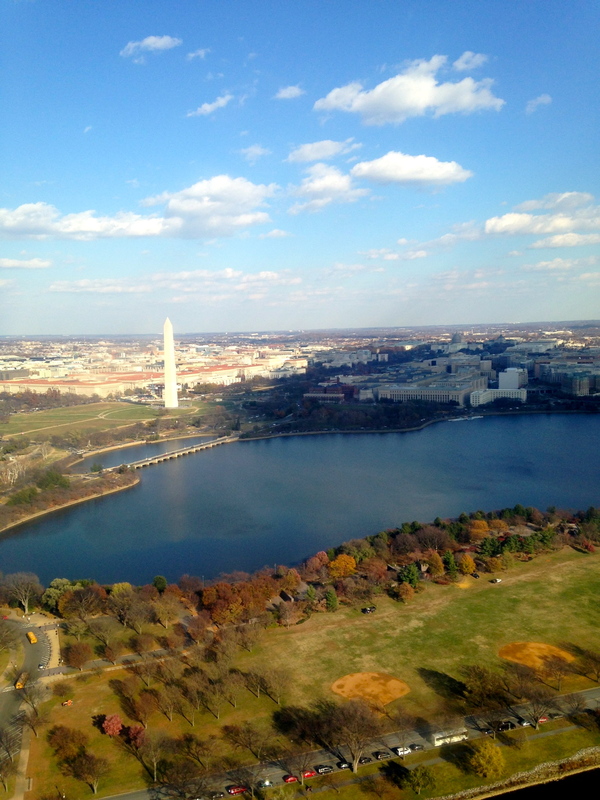 I want students to have access to the content and the craft…as always. I do foresee really rich one-on-one reading conferences with those that decide it’s time to make a change in their lives, or at the very least are up for a great laugh, and decide to take this piece on independently. I hope my four have inspired you. I really do. I hope it will do the same for my students. I encourage you to also share your favorites, here on this site. As we all gear up for an incredible year to come, and we are swiftly shifting into our ‘going back to school’ mode, this is a wonderful time to start thinking about what we’re reading in a way that lends itself to the idea of being a mentor text. 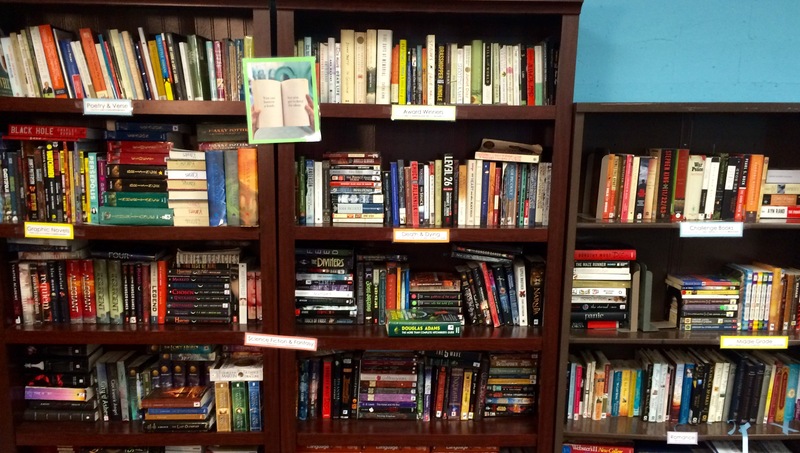 Articles, books, poetry, graphic novels…all are welcome. This summer, we’d like to return and talk about some of our most useful, engaging, or popular posts. Today’s post, written by Jackie in 2014, shows us how to jumpstart readers workshop and includes a helpful starter kit. Please return to this topic and talk with us in the comments–what are some of your most useful workshop tools?